Acquiring a visa or a residents permit is required for comfortable long term travel in Europe. To make the process easier, it is helpful to find a central location for your travels. Whether it is a place you’ve studied abroad, a language you are familiar with or just a city that you have always dreamed of living, having a home base makes the visa application process more focused. We chose to make Salzburg, Austria our home base because it is centrally located in Europe, clean, incredibly beautiful, full of amazing food and amazingly nice people…oh and half of male Erin’s family lives there. His father was born in Salzburg and moved to America as a child. That being said, we have a unique situation to consider when applying for a visa to stay long term. After having a hard time trying to contact the Austrian Embassy to discuss our options, we decided to make an appointment instead. 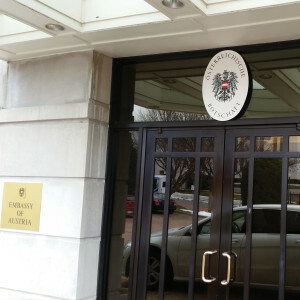 Fortunately, we live a short 15 minutes away from the Austrian Embassy in Washington DC, so an in-person appointment to answer our MANY questions made the most sense. (If you cannot meet in person, ask for the Consular Officer when you call or you can email them directly.) 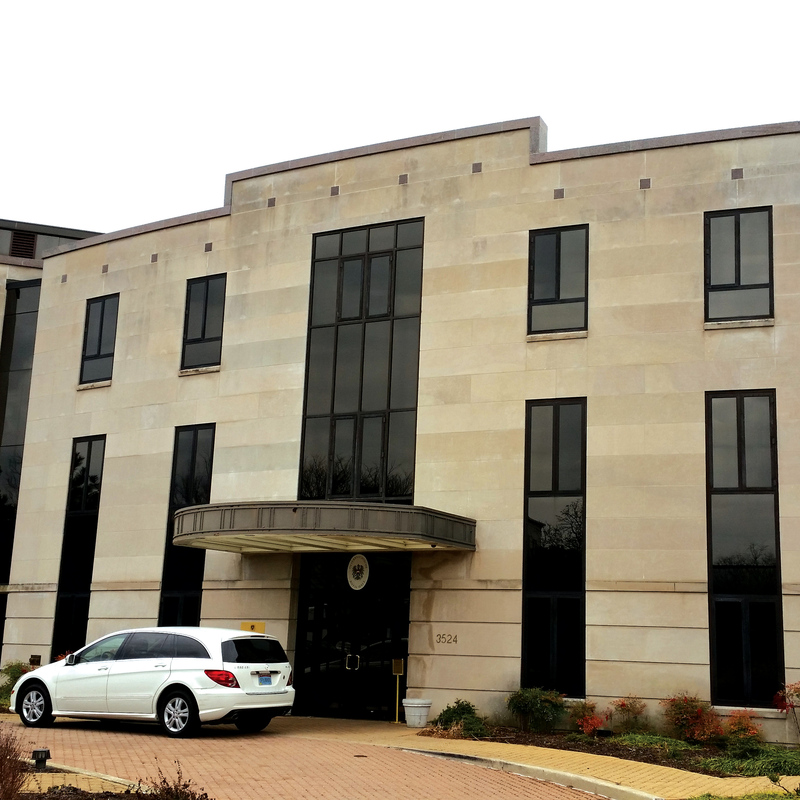 Once we arrived, we met with the Consular officer and she asked us to submit our visa application and papers. Being the prepared individuals that we are, we brought our Visa D Application (Visa that allows up to 6 months) loosely filled out to show that we put some effort into our visit. The lady we met with didn’t seem too impressed at first, but after we talked and we explained how passionate we are about her home country, she did open up a little. 1) If you want to stay in Austria for over a year, you should get a Residence Permit. That seems obvious, I know, but a Residence permit has a lot of additional requirements. One of which is proof of basic German, which means you need to show a diploma or degree from a German Language class. Since we plan to leave in just 6 months, a residence permit is not the best option for us, especially considering the application itself is in German.. While we are in Austria, and after we’ve had time to learn the language, we can apply for a residence permit, since they give you a 3-month grace period as your residency is being approved. 2) You can travel throughout any Schengen countries (including Austria) for 90 cumulative days within a 180 period without any Visa. (Not all countries are exempt from this, so make sure you double check before departure.) After those three months, we would have to either come back to America, or to any country outside of the Schengen area for another three months before we could go back to the EU again. The problem with this option is we plan to stay in Austria for 2 years, so this whole bouncing back and forth kinda thing would definitely get old. Fast. And it may not be the safest route, since I am sure authorities would catch on eventually. 3) If you have a host or sponsor, you can apply for an Austrian National Visa (Visa D). A Visa D allows you to stay in Austria for up to 6 months. You cannot legally work in Austria, so you need to show your bank accounts have enough money to survive (about $1,000 per month per person). After some deeper questioning, we also found out that after your Visa D expires, you’re 90 day Travel Visa kicks in, which means 9 whole months of freedom and travel! Also, that leaves us some time to apply for another Visa D or a residence permit. Visa D is definitely where it’s at, especially for our situation. Now that our new Austrian friend opened up, we were hoping she would invite us over for some Knödel Soup, but I guess we weren’t at that level yet… Maybe when we come back in April to apply for our Visa D (3 months before travel), she will welcome us like the fellow Austrians we hope to be! 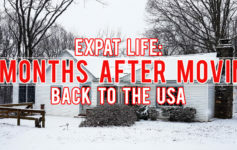 Previous Article How Do I Move Abroad? Where Do I Start?